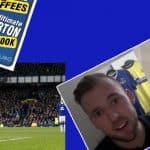 Yo dudes, once again I’ve been roaming the area looking for people’s thoughts on Everton (well, speaking to folk in pubs). 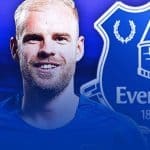 I caught up with Evertonian Carl Mills prior to the West Ham game. 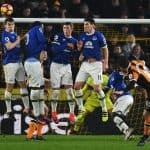 Assuming all players are fit and on form, what’s the strongest Everton side in your opinion? Ok, Howard, Baines, Stones, Jagielka, Coleman. Don’t think anyone will argue with that. Moving on to midfield, Mirallas, Barry, McCarthy, Naismith, then Lukaku and Eto’o. That’s a 4-3-3 by the way, with Naismith in that in between area behind the strikers, and Mirallas on whatever side he likes, linking up with Baines and Coleman. I think it’d keep the opposition from learning what we do. What do you consider to be a good 2014/15 season for the blues? A trophy. In the 80’s we won the league and while that realistically is a little way off just now, I think we can take the Europa League if the draw is kind to us once the Champions League rejects drop in. I’d be happy with the FA cup though – just win a trophy, you know? Then use that as a springboard to the Champions League and title winners. Good stuff, no arguments here – finally, name your favourite famous Evertonian. Ha, I think I read that Kenny Everett was a blue, and he was from my era of comedy when I was growing up so I’ll go with him. Oh, and Leonard Rossiter. Oh, Miss Jones! Thanks to Carl for taking the time to be pestered by me, and keep reading folks. Cheery bye.